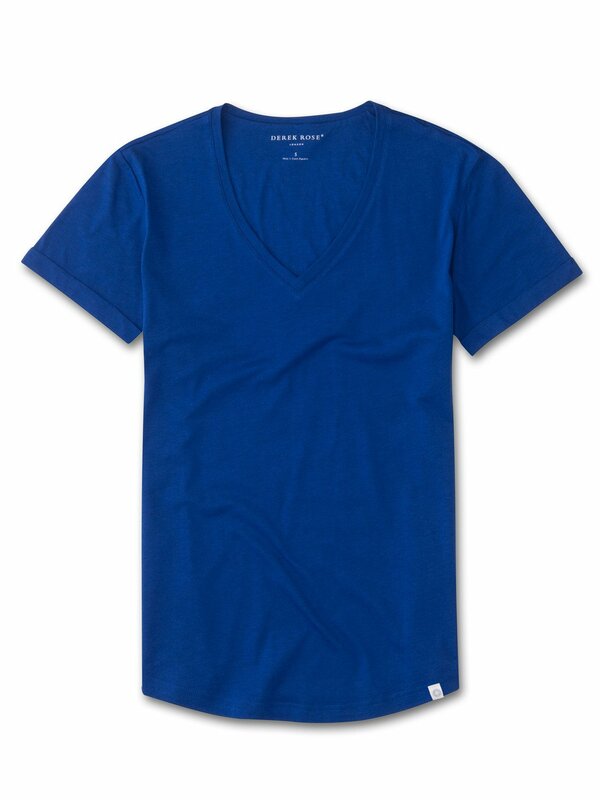 Our royal blue Riley women's v-neck leisure t-shirt is cut from 100% fine gauge pima cotton for a luxurious essential. This supersoft fabric is lightweight and breathable making it perfect for enjoying the sun in comfort. Perfected over numerous years, our women's short sleeve v-neck leisure t-shirt features a curved hem and turn-back cuffs for an effortlessly chic luxe essential. A soft neckband with narrow cover stitching gives a refined and comfortable finish and as always, our branding is kept subtle — with a minimalist label tacked at the hem and a printed logo to avoid irritating neck labels.